I went to WalMart over the weekend to pick up a new mascara. 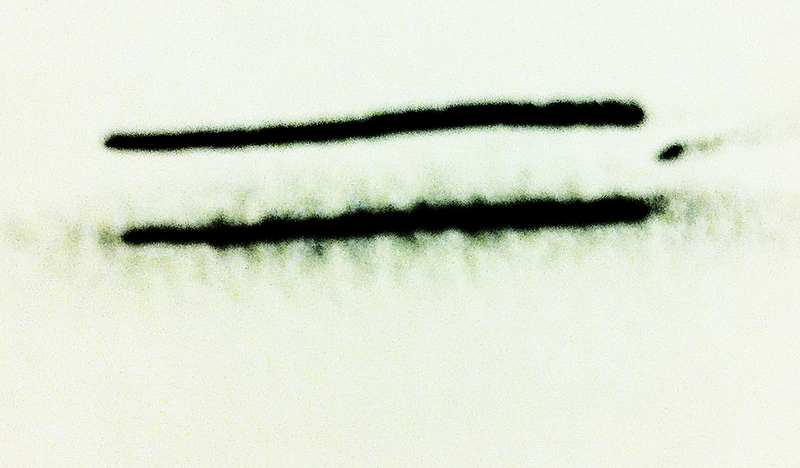 While browsing I found this new eyeliner. 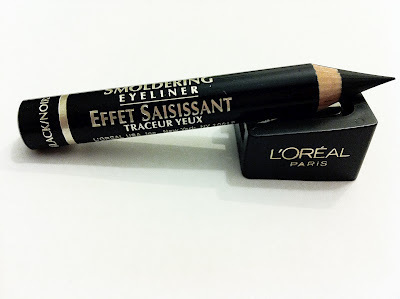 Currently I already love the L'oreal Extra Intense liquid pencil eyeliner. 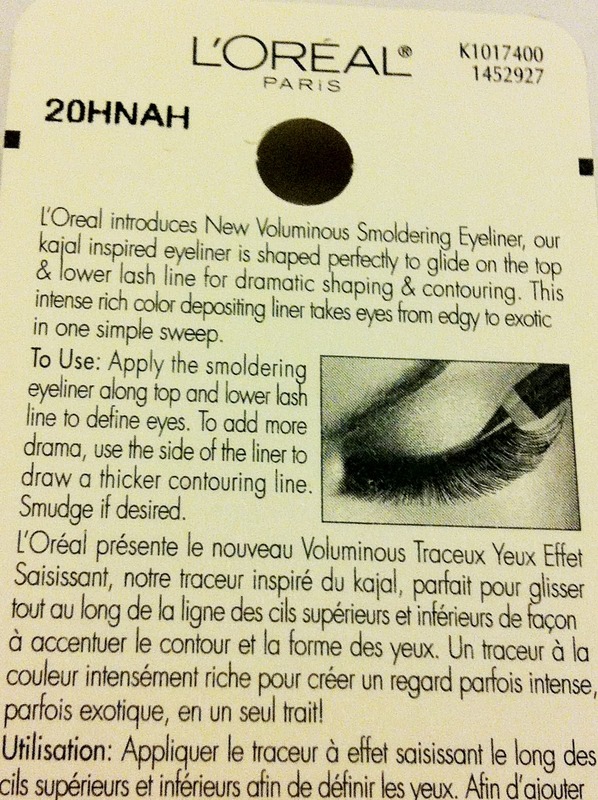 This new Voluminous Smoldering ($7 CAD) eye liner is more chubby and has a kajal formula. On the website it says: "The secret to its intensity is in the dark kajal formula. Used for centuries by women in India and other Eastern parts of the world, kajal is rich intense black ingredient that delivers stunning definition." It comes with a sharpener so it's easy to keep it sharp enough to make fine to thick lines. I swatched it on a piece of paper and found that it gives a very precise line and you can easily smudge it out for a bolder look. I had no problem with the application, it goes on very creamy and soft. There was no pulling or tugging of my eyelids. I applied it on my eyelids and on my waterline as well, but it didn't last as long as it did on my eyelids. I like how black and dark this eyeliner lasts throughout the whole day, there was no fading. 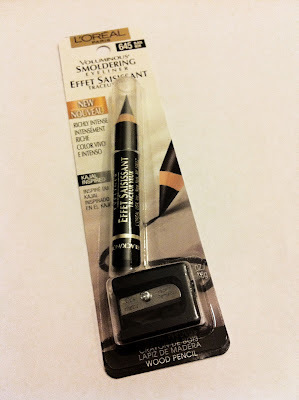 I would defintely buy this again, I just wouldn't use it on my waterline. Will you be trying this product out?